With new introductions to its classic Calatrava line, Patek Philippe pays homage to the calibre 240 for its 40th anniversary. 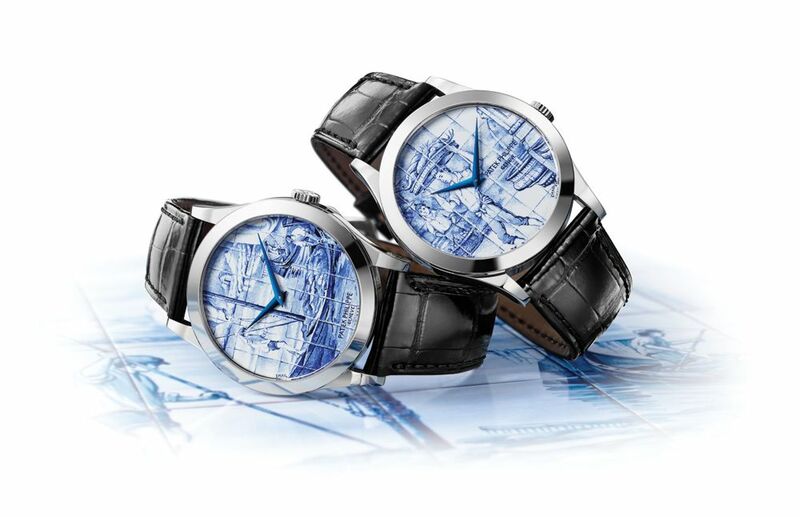 Watch neophytes might look at a Calatrava by Patek Philippe and wonder why, among more visually memorable pieces, it is considered one of the most iconic models of all time. It is true, the Calatrava’s simple round case looks like the dictionary definition of a wristwatch today, but it was a bold departure from mainstream tastes when it was first introduced in 1932. In the midst of the Great Depression, Charles and Jean Stern, the two brothers who bought over Patek Philippe & Cie, believed a brand-new watch would once again turn heads in the company’s direction. They did so by ignoring the flamboyant styles of the previous decades and instead, took their inspiration from the minimalist style of the Bauhaus art movement. The resulting Ref 96 was 31mm in diameter with a case just 9mm thick, and featured only the hour and minute hands accompanied by a seconds subdial. The perfect gentleman’s dress watch, it became an instant success. Today, the Calatrava might be 85 years old, but it remains still as youthful and contemporary as the day it was launched in 1932, a testament to its enduring aesthetic. This year’s latest additions to this evergreen collection also put the spotlight on the iconic calibre 240, which celebrates its 40th anniversary in 2017. This milestone is significant, as calibre 240 was launched as horology was reeling from the effects of the Quartz Crisis. By developing a self-winding movement that was svelte enough to fit in the slim cases that were in vogue at that time, Patek Philippe demonstrated its astute watchmaking skills as well as its distinct focus on beauty and elegance. Calibre 240 was kept slim thanks to the use of a 22K gold mini rotor, but without compromising on precision. Over the years, calibre 240 has equipped a range of timepieces, from men’s models to women’s watches, demonstrating its versatility and top-notch quality. Like mosaic, individual square ceramic tiles adorned villas and buildings in public spaces, with blue being the most common hue. On a surface as small as a dial, the illusion of tiles had to be masterfully created using the enamelling technique, an esoteric artistic craft that requires great attention to detail, creativity and experience. There are very few craftsmen trained in this manner of artistic painting today, which is why the Stern family has always been committed to preserving the skills of rare handcrafts, past, present and future. On the dial of this Calatrava model which features Patek Philippe’s expertise in rare handcrafts, we see the exacting skills of the craftsman, who has painted the dial with brushes consisting a single hair, in varying shades of white and blue, before firing it in the kiln to achieve the desired colours. It is a tedious and time-consuming task, and the watchmaker has successfully replicated the effect of the azulejo art form on two dial variations, one featuring a porter, and the other, a barge. This watch also features the calibre 240, which bears the Patek Philippe Seal, indicating that it has passed the company’s strict set of quality specifications. Beautiful movements deserve a beautiful case, and the Calatrava Ref 4899/900G does a splendid job of celebrating the self-winding calibre 240. It was originally created for the Golden Ellipse model in 1977. Its 27.5mm diameter was considered too large for women of that era; now that the ladies have grown to appreciate bigger case sizes, the ultra-slim movement, with a height of 2.53mm, is perfectly suited for an haute joaillerie piece. With a bigger canvas to work on, gem setters within the watchmaker’s dedicated jewellery workshop have meticulously arranged staggered rows of brilliant‑cut diamonds and sapphires of varying intensities on the bezel, while the natural mother-of-pearl dial—which is sourced from Mississippi and is not chemically treated—is snow-set with diamonds and sapphires. Feather motifs have been engraved on the mother‑of‑pearl face, complemented by similarly engraved leaf‑shaped hands. Jewels also adorn the crown and folding clasp, bringing the total to a dazzling 702 stones weighing 4.35 carats. A subsidiary seconds dial set between 4 and 5 o’clock is not a common sight in watchmaking, but it is a feature Patek Philippe has been proud of since the launch of the Calatrava Ref 5000 in 1991 where it first appeared. It later became a signature of the 6000 series launched in 2005, and now replaced by this year’s Ref 6006G. The overall two-tone design remains largely untouched, save for the increased case size of 39mm, instead of 37mm, and the arrow-tipped date hand that replaces the former lunar crescent. Moreover, the slightly broader baton-style hands have been hollowed out as well. The 240 PS C movement within is generously decorated with polished chamfers and Geneva stripes. Haute horlogerie is revered for the highest level of finishing lavished upon its movement, and nowhere is it more evident than upon a skeletonised timepiece. Patek Philippe’s first skeletonised timepiece appeared in 1981 with the ultra‑thin Ref 3878, and was entirely hand engraved. Using a burin, the craftsman delicately carves out the gold, removing any superfluous metal to engrave the desired motif—it takes time, but lends the timepiece anachronistic charm and artistic value. The “Squelette” Ref 5180 is one such piece that features an engraved skeletonised movement. It originally came in white gold and, just once for the 2009 Children Action fundraising event, in titanium. This year, it returns in a brand-new rose gold case, with a matching bracelet. It takes over a week for the skeletonisation alone, and an additional 130 hours for the hand engraving work. The hour markers are integrated within the case, and are distinguished by radial spokes connecting the dial to the bezel. For the first time, the Ref 5180’s solid gold micro-rotor has been engraved with the Patek Philippe Seal, signifying that the timepiece has a rate tolerance of -3/+2 seconds a day. The watch has undergone rigorous tests, ensuring that it meets the highest technical and aesthetic standards worthy of its iconic double P logo.